The Supreme Court disqualified Prime Minister Nawaz Sharif from his job on Friday under the controversial articles 62 and 63 of the Constitution for mis-declaring his assets. His sacking has indeed ratcheted up political uncertainty in the country but the markets appear to have already factored it in — at least for now. 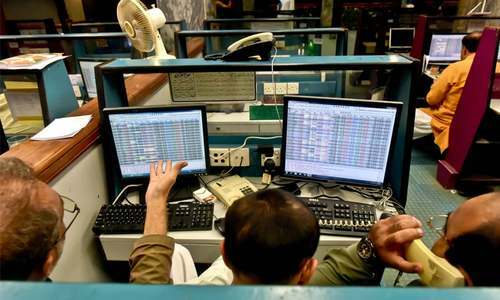 The benchmark KSE-100 index, for example, made a remarkable recovery after falling 3.6pc, or 1,670 points, in the afternoon session after investors ducked for cover following the announcement of the verdict. But the index had risen marginally from the previous day’s level by the time the market closed for the weekend. The news that the ruling party had ‘accepted’ the court ruling and Nawaz Sharif stepped down to pave the way for his successor from the ruling Pakistan Muslim League-N helped the stock prices rebound. Many believe that the market will make a quick recovery in the days and weeks to come to return to its May 24 peak since the court decision has cleared the uncertainty about Mr Sharif’s future. The KSE-100 index has lost 17pc from its all-time high of 52,876 points in the wake of corruption investigation against the PML-N leader and his children. The currency market also exhibited a similar trend. Though the central bank intervention kept the rupee stable in the interbank market, it plunged to 109 to a dollar for selling and 108 to a dollar for buying in the open market. Analysts say the risk of currency devaluation had increased following Friday’s events in Islamabad. However, a lot depends on who will replace Ishaq Dar, as he will soon be facing the National Accountability Bureau (NAB) as ordered by the apex court. Mr Dar has been the real force behind a stable rupee during the last couple of years. 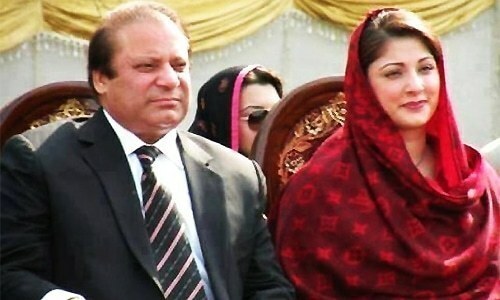 Some analysts nevertheless argue that the ruling party’s focus is likely to shift from the economy as its leader fights the verdict against him and his family, push the courts to hold similar proceedings (under the articles 62 and 63) against his opponents and the opposition thereby mounting pressure for an early election in the country. “The possibility of political chaos returning to the country has elevated after the disqualification of Nawaz Sharif,” says analyst Mubashar Bashir, who has several years of experience of working with banks and corporations in the private sector, and Wapda in the public sector. 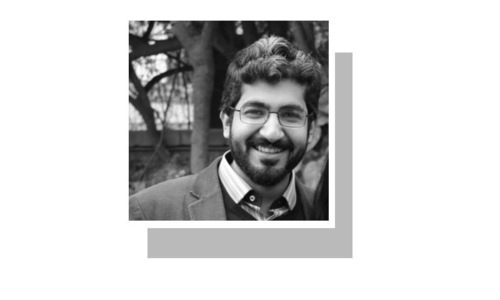 A Karachi-based financial analyst conceded that macroeconomic vulnerabilities are building up and the political turmoil facing the country may worsen them. But the economy was “safe for now”, he said. “Our GDP (gross domestic product) has grown by just above 5pc last financial year, foreign exchange reserves are still at a comfortable level and the rupee is stable,” he said. “The overall security conditions have largely improved across the country owing to the ongoing military operation against militant groups. Beijing has indicated that it will continue to move ahead with its $57bn investment plan in the country’s transport, energy and industrial infrastructure under the CPEC [China-Pakistan Economic Corridor] initiative in spite of Nawaz Sharif’s disqualification. The country’s business community is also divided over the dismissal of Mr Sharif, with pro-Nawaz businesspeople worried about the direction politics will take in the next several weeks. “If the court verdict unleashes political disorder in the country it will eventually hurt the economy and may affect — at least slow down — China’s investment in Pakistan under the corridor initiative,” said a former president of the Lahore Chamber of Commerce and Industry who is considered close to the former prime minister. “It will also have serious implications for security conditions, forcing the government, as well as the military, to take their eyes off the ball,” he argued. Mr Sharif’s critics in the business community, however, have a different story to tell. A leader of the All Pakistan Textile Mills Association argued: “It will be better for the country to have an early election and a new government. 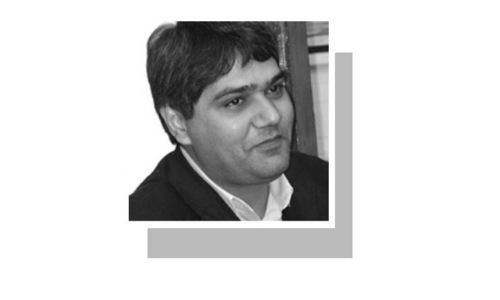 “The PML-N has destroyed the business because of Dar’s anti-industry policies, which are badly hurting exporters and have already led to closure of a big part of the industry owing to a massive upturn in imports. In the tug of War between hidden and open faces country is paying the price , how unfortunate is this ! For the past four years, the economy was propped up based on lies from Ishaq Dar. All his claims about improving economy were lies. Let us face the reality that economy is in shambles and it will take many years to stabilize IF a competent and honest finance minister is appointed. Dark times ahead for the economy and investment in Pakistan. We should recover the money looted by Corruption Mafias PML-N and PPP. The money will resolve all our country's economic difficulties. Pakistans economy is already in worst position and this is because of bad policies of pmln govt. Only a new govt can get it better. PMLN has already failed in reviving the economy. Remember they are corrupt and mafia. The question should be what economic progress we had in last 4 years ? I say that economy will run better without Nawaz Sharif and his gang. We may have some initial teething problem but Pakistan will overcome those hurdles InshaAllah. Ameen! I see massive rupee devaluation coming anytime now! Pakistan survived for 70 years and will do so another 7000 years inshAllah. Dawn please do not paint a scary picture about Pakistan and its economy post- NS. Drastic surgeries are necessary at times for health of humans as well as countries. Let us have similar surgeries across the board. Economy will survive, no big deal,just plug the extra expenditure,perks,of legislators curtail down the PM House expenses. All will be well. And last but not. least ask all the NAB accused to bring back all the looted money. Dollar's real value is Rd 117 and in uncertainty ahead it will go to Rs 124. You are right NS personal economy cannot survive, but the country will survive. That's the key question. I think it will. It may even bring economic reforms making it easier to do business in Pakistan. I'm optimistic. Prime ministers are not as a rule economists but any PM will have top economists working for him. After the falsifying of documents to IMF and the extra $35 billion in loans taken out by PLM-N in last 4 years...the only way is up. @Sab se pehle pakistan Agree quite with you. It is a must. The only pill for Pakistan is 'accountability across the board'. Our voters are concerned with thana and kachehry. NS & Co exploited this weakness of our simpletons to the fullest extent. The corruption had spread down to this level. Coupled with bad governance, money laundering etc. the bubble is going to burst sooner. We must export more to avoid any ugly situation. With record debt and record borrowing to service it, the economy was in real terms pretty ill anyways. @Atif apart from CPEC our forme Qaid the PM had attractive zero investment. Opponents of country get benefits and in this situation, other countries laws are going to be hard for common Man of the country who are on the way to those for the purpose of business. SC decision was one for abolishing of corruption. If Pakistan become corruption free. Economy will become excellent. so let them loot or they will destroy the economy?? when was last NS brought any investment into country (not including the borrowed $$) ?? they just took money outside pakistan. the economy is a fake figure, same as our government. I strongly believe we'll thrive if we don't compromise on strictest accountability. 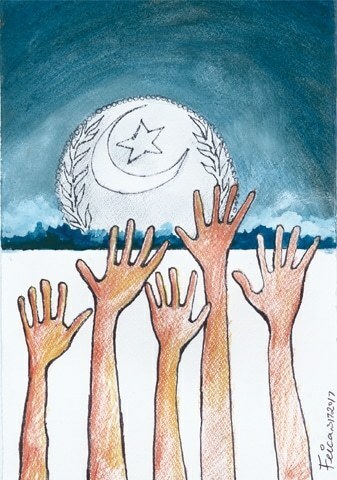 Pakistan will Rise & Shine & Nawaz and his League of Looters will go to Prison. Just for all will prevail and justice will be done across the board. At least a true picture of the health (or ailment) of the economy will now emerge,. after Dar's cover ups and gloss over the budget deficits, foreign debt levels and inflation. Dar was a master rmanipulator and con-man at best, doing NS's bidding to keep himself and his boss in a gravy train and shift money abroad. The real brains behind money laundering was, I suspect Dar himself. My dear Dawn, your last paragraph of this article says it all!! 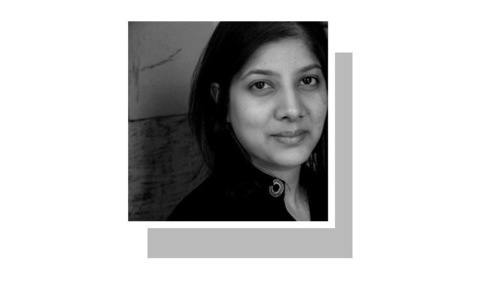 "...The bubble the Nawaz Sharif government has created has to pop sooner or later. .. " Also, one wonders who is minding the back door,the ECL and how effective is it? @Atif Yes that is why, PM sons invest outside this country. Since when the fate of almost 200 million rest with one family.. leaders come and go, their legacy is remembered on what they built... NS will be remembered for motorways and corruption. If the economy does not survive then it is our politicians fault to have made it so weak. A strong economy can survive a change of entire government not just few faces. The economy will get better. The confidence of international players will improve and with the court action the leaks will get plugged. Pakistan will march confidently towards a brighter future. @Sab se pehle pakistan In the tug of War between hidden and open faces country is paying the price , how unfortunate is this ! Who will invest in Pakistan amid the political crisis, whenever economy is improving unusual things start taking place. The economy of the two criminals may not but Country's will InshaAllah. @alba " It may even bring economic reforms making it easier to do business in Pakistan." Economy doesn't need reforms to flourish, it flourishes naturally unless there are reforms to unnaturally channel it's benefits towards those who are not participating in it's growth. The reforms needed are political, so that people don't get hold of money that doesn't belong to them. That means limiting the political power away from economic one. @Sheraz "I see massive rupee devaluation coming anytime now!" It scares only those who don't produce any, but gather a lot. They will see a devaluation of their plunder and no way to recover the "loss". @Login "Cpec us answer for everything" Absolutely right. Question: "Why is Pakistan changing it's course? ", Answer: CPEC. How can the economy survive when PMLN is only focused on money laundering, corruption. taking foreign debts and making millions. Petrol price will be an indicator ! @Atif Do not lose hope. As a nation we are a resilient and hard working, what we need is a competent and honest leadership, rule of law, level playing field for everybody and opportunities for all. With people like Ishaq dar at the helm there is no surprise that country is heavily indebted, exports are down and agriculture and medium size industry is in a mess. We shall rise again but direction needs to be right and economy should be in the hands of capable and honest professionals and not corrupt politicians. If anything, the Supreme Court has and would have positive impact on economy. This government has landed us into debt trap and was making it worse by artificially holding the value of PKR at much lower level against USD (even though the lenders IMF also warned against this artificial level) this has resulted in our exports becoming costly as compared to neighboring country and thus the historic trade deficit. Impact of Nawaz government removal constitutionally is having a positive impact on democracy and economy in the larger scale, we need to strengthen governance, judiciary, fair and faster accountability, free media and institutions for Pakistan progress and prosperity. @SAAF GO . By bringing Junior Nawaz as the replacement for NS you are missing the opportunity to carry out the major surgery which is required on the body of Pakistan. That surgery is the need of the hour and it must be carried out for the sake of Pakistan. Good luck to the ordinary masses of Pakistan. analysts, experts technocrats,subject related masters ,experienced in finance C.A,qualified think tanks can say a lot on the subject .as an ordinary lay man ,old citizen ,i feel we have every thing what is required to boost economy ,set back derailed system on the right track .we do not require aliens from outer space.if we just believed in our own manual and obeyed the commandments of our Creator we would be able to resolve a lot of issues created by DISHONEST leadership ,ministers ,incompetent ,unfaithful,disloyal despite oath . It can't be worst that what it was under the command and control of the ousted corrupt Prime Minister and his former crooked Finance Minister. Economy would boom. Actually, once corrupts and crooks from politics would get eliminated, every penny Pakistanis pay in taxes would be spent on development rather buying Mayfair flats, steel Mills abroad or on growing hair on bald head. The Peoples Congress and the Peoples Liberation Army in China don't care anything about Nawaz Sharif. The Government of Pakistan has already placed it's bet with China. It hardly matters to the Chinese who that government is. Nawaz can sit in his rocking chair on the veranda and reminisce about how he got the ball rolling. "All is vanity." How is the employment opportunity there? The nation's hope is on recovery of looted money for the last 40 years and finally end of corruption in the country.To put final nail in corruption all corrupts in Pakistan to be sent to jail.So Pakistan's future is bright considering the young population,vast fertile land, zeal of the nation supported by trustworthy and honest leadership. I believe economy will flourish once this corrupt leader and his abettors are plucked out of prevailing system. For the last 70 years business and economic activity has lagged far behind the country's necessity. Something seems to be pulling us back and as a result the burden of illiterate population is multiplying. Now how the prime minister is removed or what government is in power, the status quo is fated to remain the same. This is the conclusion drawn from our history. Hope they can have a forward looking Finance Minister. Courts in USA ruled against their besieged President Bill Clinton right after his term had completed. They avoided unnecessary crisis by doing so. I wish our judiciary had followed the example and waited little longer. Take a chill pill, nothing will happen! @PAK-OZ I wish you were true but there's danger can also be with new PM and big apatite. why worry when you have cpec and iron brother to get 1$ to Rs 150. Pakistans economy = CPEC. China has affirmed that CPEC will survive soeconomy should survive isn't it? @Zaq : The question should be what economic progress we had in last 4 years ? Actually, The question should be what economic progress we had in last 40 years ? How low can economy go. Per me we are at the bottom most level and there is no further harm can happen.